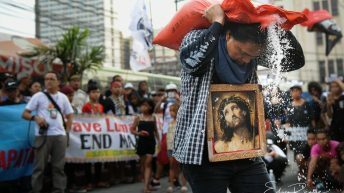 MANILA — Dismissed workers in one of the country’s biggest fast-food corporations held a protest before its main commissary and warehouse along Paranaque road, June 26. 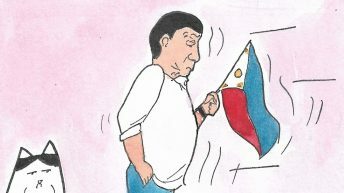 Carrying signs, banners and flags, the workers of Jollibee Food Corporation (JFC) and their supporters were met by the warehouse’s security guards. This was their second protest action after the termination of their two contracting agencies, Toplis Solutions and Staff Search Agency, led to a mass lay-off of nearly 400 workers. Three laid off workers shaved their heads to condemn the abrupt termination and to call for immediate reemployment and regularization. One of them was Renante Hisanan, an inbound poller and a “regular contractual” for almost three years in Toplis Solutions. A father of two elementary school kids and a sole breadwinner, Hisanan found it hard to move out from his job after being abruptly terminated on the eve of June 17, his day off from work. He and fellow contractual workers in their agency were supposed to be sacked by June 30. “Of course, when I got laid off, I was disheartened and felt weak. I didn’t know what to do when I got home. 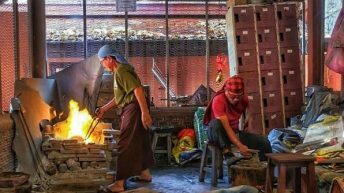 My daughter then asked me, ‘You don’t have a job now, what will happen? We don’t have anything to buy Jollibee now.’ Jollibee was her favorite,” he told in an interview with Bulatlat. Hisanan was shocked when he learned that he was terminated, even after working for more than three years and receiving recognitions for his services in the fast food giant. “I never expected it to happen to me, I told myself, since I received many awards honoring my loyalty and service. I loved my job more than myself. I was never absent [from work],” he said. The main commissary provides logistics services to Jollibee and other subsidiaries such as Chowking, Greenwich, Burger King, Mang Inasal and Red Ribbon. 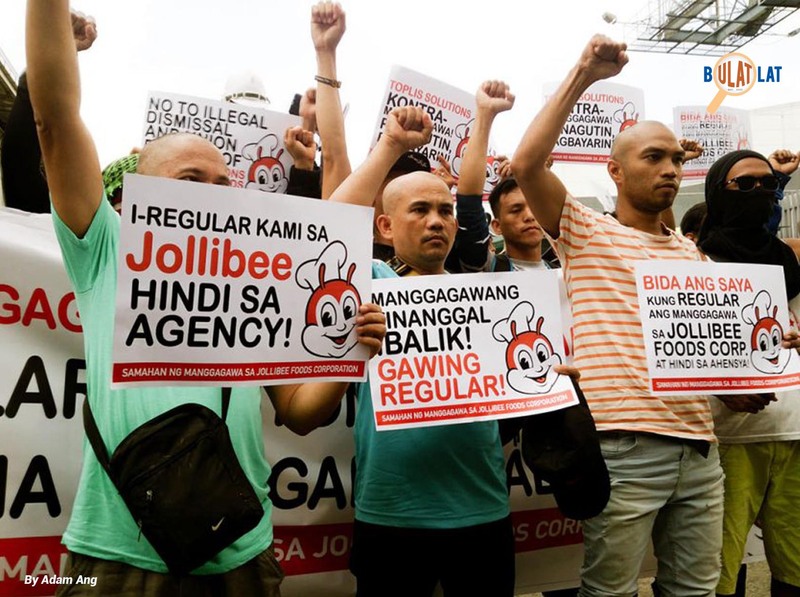 On April 4, Henry John Jalbuena, Department of Labor and Employment (DOLE) National Capital Region director, said in a press statement that they ordered the regularization of about 6,482 workers by two contractors of Jollibee. Further, it also instructed five of Jollibee’s contractors to return around P4 million (about P75,000) “unlawful wage deductions, bonds, donations, shares and other illegal payment collections” to 412 workers. In response, JFC said it only deals with “reputable service contractors” and that it maintained its compliance with the DOLE Department Order (DO) No. 174 – the government guidelines on contracting and sub-contracting which prohibits labor-only contracting. “In compliance with regulations, we only deal with reputable Service Contractors that have been duly accredited and registered with DOLE. 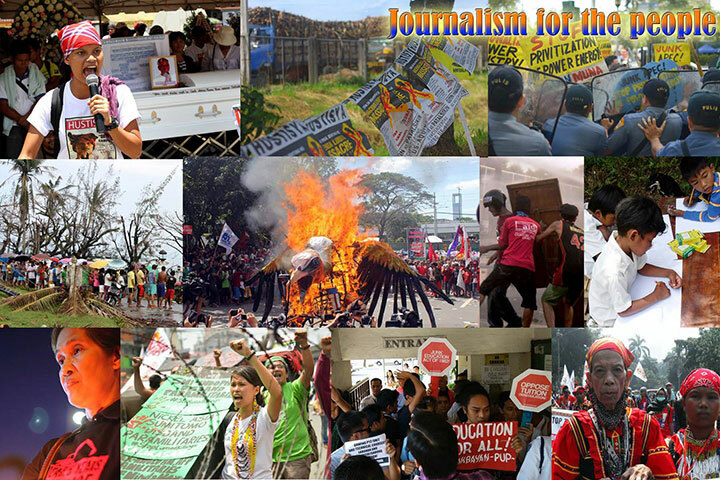 We have been cooperating and will continue to cooperate with DOLE,” JFC said in a statement. However, Labor Secretary Silvestre Bello III released on May 28 a list of top 20 Philippine corporations engaged in labor-only contracting in which JFC topped with 14,960 contractual workers. 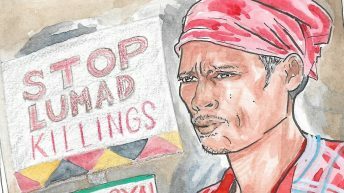 During the protest, laid off workers also launched their #BEEastMode campaign, urging Filipinos and other people worldwide to temporarily stop patronizing JFC products. 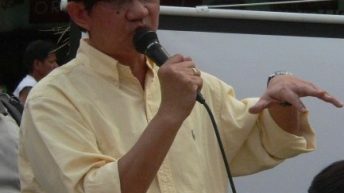 Rogelio Magistrado, president of the Samahang Manggagawa Jollibee Foods Corporation (SM-JFC) appealed to the public to avoid buying products of JFC and its affiliates and subsidiaries until JFC fully implements the DOLE order to regularize its contractual workers and to reinstate the terminated workers. 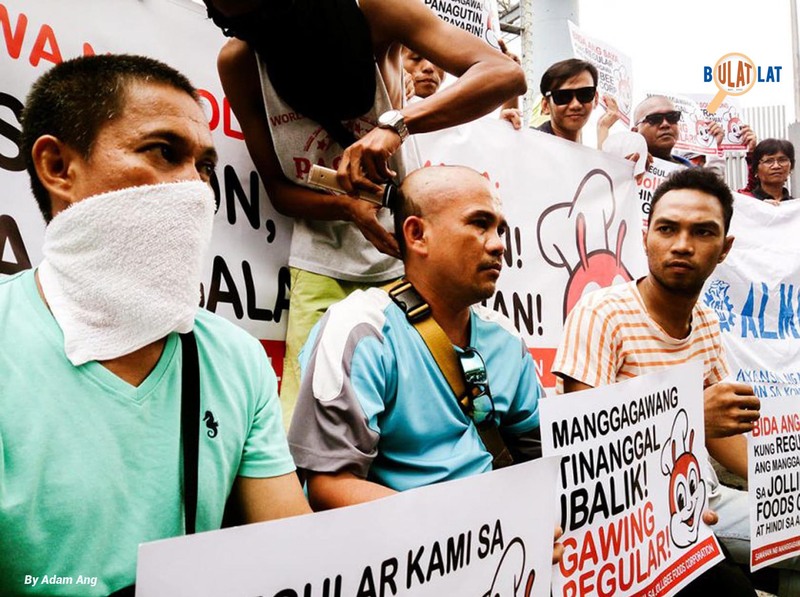 “We are here to show to the company, Jollibee Food Corporation, that the illegally terminated workers strongly call to be regularized and reinstated because of their long-time service,” Magistrado said. 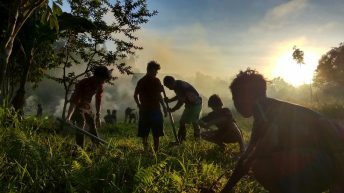 “We have also invested much to help this corporation to develop and succeed but he [Tony Tan Caktiong, founder of Jollibee] would not comply with the government’s order,” he added, citing the DOLE order to regularize them. Yea, this post is intended for sarcasm. Thanks! MGA KIDS, BOYCOTT NA NATIN ANG JOLIBEE , MGA WORKERS NILA HINDE NA JOLLY!! !